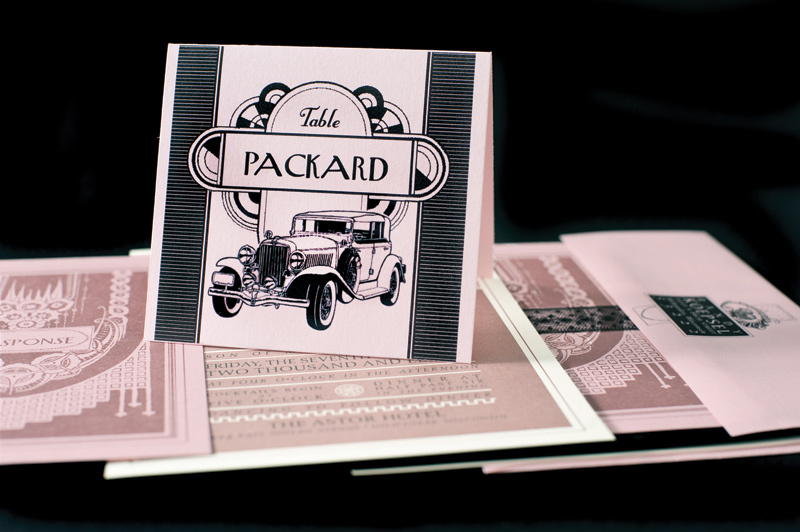 Art deco style stationery suite for Ann + Randy with 1920's vintage ribbon. 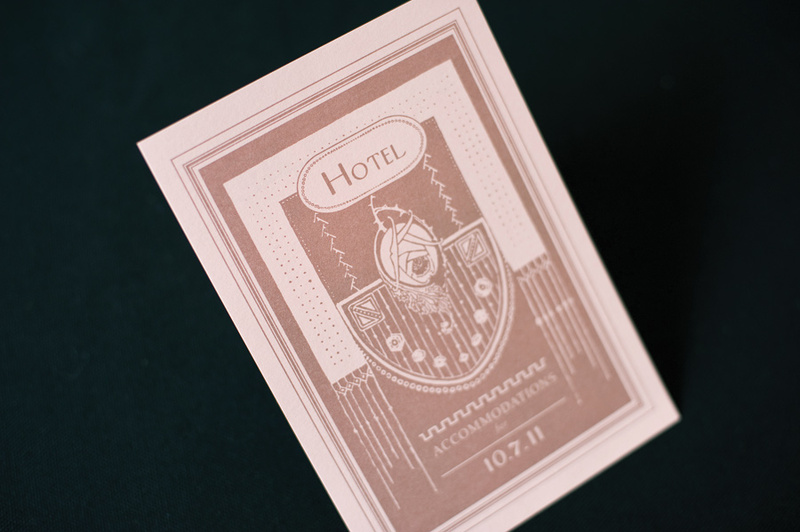 Invitation suite consisted of invitation with envelope, response card (rsvp) with envelope, and accommodation card. Day-of paper goods consisted of table names and menu. Print style is offset with metallic, and digital printing.